Joshua Ingram sparked outrage when he walked free from Grimsby Crown Court in October after shoving a toddler’s head into a wall, threatening to throw him out of a window and telling him he was going to kill his mum. The violent teenager who threatened to throw a toddler out of a window has been locked up today after a court ruled he should never have walked free in the first place. Solicitor General Robert Buckland QC MP referred Joshua Ingram’s original sentence to the Court of Appeal as unduly lenient. 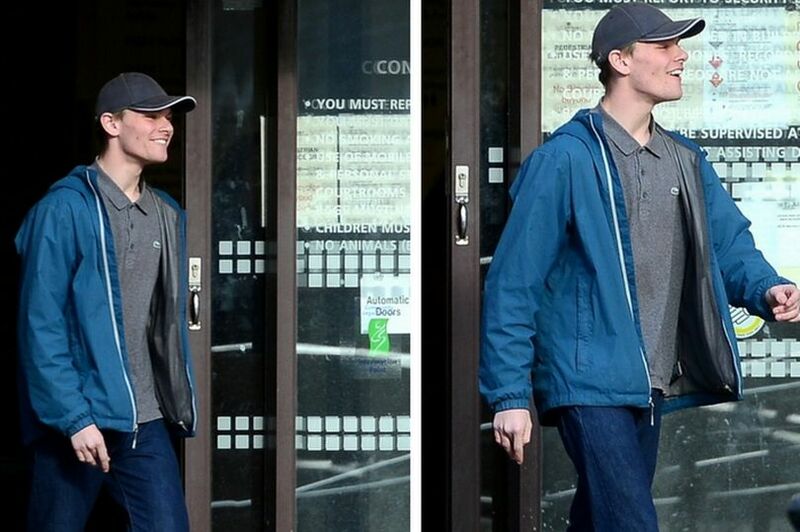 Ingram, 18, of Gilbey Road, caused outrage when he walked free from Grimsby Crown Court smirking in October. He had launched an attack on his ex-girlfriend and her two-year-old son after the toddler agitated him. Ingram who was staying at his ex-girlfriend’s house lost his temper with the child and started swearing. The child’s mother carried the boy into another room; however, when she passed Ingram on the landing he shoved the child’s head into the wall so hard it caused a bang. Ingram then started to damage property in the living room before following her upstairs and taking her phone so she could not call the police. He then lunged towards the child in an attempt to try to grab him. He threatened to throw the child down the stairs and against a wall. The boy was screaming and his mother was lying on top of him on his bed trying to shield him from attack. Ingram also had a vegetable knife and threatened repeatedly to kill the mother and child. He threw the knife to the floor with such force that it broke. He then grabbed the child again and placed a pillow over the mother’s head and told the child that he was going to kill her. Recorder Peter Makepeace QC originally sentenced Ingram to two years detention in a young offenders institution suspended for two years. But today, The Court of Appeal agreed that this was too lenient and increased his sentence to three years in a young offenders’ institute. It later emerged that he had posted a sick Facebook post as he sat in court waiting to be sentenced. Swaggering Ingram, described by his own solicitor as a “stupid young man”, walked free from court at 1.10pm after being given his suspended prison sentence and a life ban from contacting his victims. Speaking after today’s hearing, the Solicitor General said: “This young man’s violent temper left a defenceless child and mother fearing for their lives. “The original sentence failed to take proper account of the seriousness of the offence.